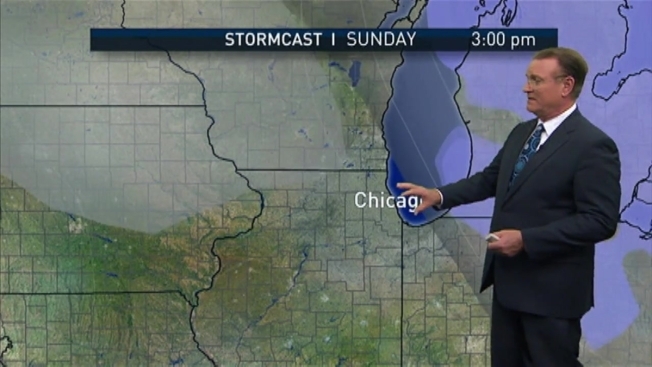 Could Chicago Area See First Snowfall This Week? Don’t let the calm and comfortable start to November fool you, the first taste of winter is just around the corner for the Chicago area. Temperatures are expected to swing nearly 30 degrees before the end of the week, seeing both spring-like conditions and the potential for snowfall in just a day's time. But before an expected cold front moves in, there are still a couple of nice days on the way. Wednesday will begin clear and cold before a mostly sunny and pleasant afternoon, with highs in the upper 50s to low 60s. Thursday turns windy and unseasonably warm, climbing into the upper 60s to even low 70s for some areas. Windy and above-average warmth remains Friday, but rainfall moves in. Rain showers are expected to develop in the afternoon with the potential for steady rain and thunderstorms in the evening hours. Rain will likely lighten around midnight and continue into the early morning. Saturday is when the Chicago area could see the first snowflakes of the season. Models show Friday’s above-average temperatures plummet for the weekend, dropping into the low 40s to upper 30s by Saturday. Colder conditions, high winds and the morning's light rain make it possible for flurries to fall in the afternoon and evening hours. Despite some sunshine expected Sunday, it will stay windy and cold. Models show the potential for more clouds, lake effect rain, and snow showers in parts of northcentral Indiana, with highs in the upper 30s.